It's due time for new Uggs...my old ones have definitely seen better days! I love the dark chocolate color of these, and of course, I love how tall and cozy they are. While we're on the topic of Uggs...I used to have the Classic Tall Ugg in Chestnut and a lighter Short Ugg, but my short Uggs seem to have been around forever and it's high time for a new, darker pair. Sigh...I need a new computer. Why? Because my hand-me-down Mac from Jenny (who had it all through college) has finally ceased performing the way it should. I'd love a MacBook Pro to do all my blogging, writing, and designing on! 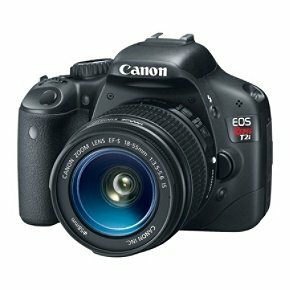 I've been lusting after the Canon Rebel (either T2i or T3i) for a long time, I just can't bring myself to buy it!